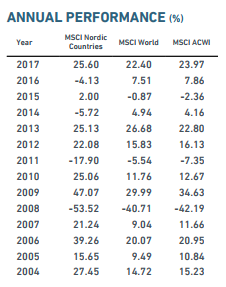 The MSCI World Index looks expensive, especially the U.S., but the Nordic market seems fairly priced. It might be time to look abroad for better investment ideas. A small note about future outlook. As the S&P 500 continues to go upwards without any hesitation, prices and valuation metrics have increased dramatically in recent years. Investors are waiting for a correction where prices revert back to the mean, but the market does not seem to care. While the Nordic market isn't cheap by any measure, it's not as expensive. MSCI World is as of this writing (Nov 30, 2017) trading at a P/E of 22.04, a Forward P/E of 17.39 and yielding 2.25%. 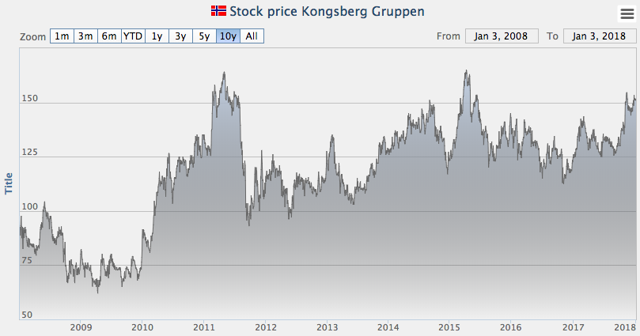 At the same time, the MSCI Nordic Countries Index trades at a P/E of 17.87, Forward P/E 16.52 and is yielding 2.99%. 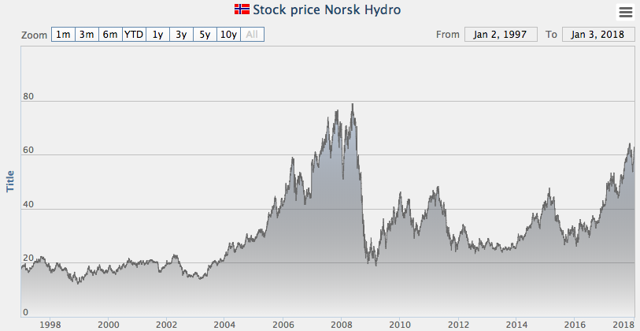 By just measuring the shriller P/E ratio, the Nordic Index looks cheaper. But what about the annual return? Well, the following diagram shows that the MSCI Nordic Index has been a solid investment compared to the MSCI World Index. We all know that for most of us, it's impossible to time the market. However, it's more logical to put your money in a market where prices are closer the mean than the opposite. Let's go ahead and take a look at 10 Nordic Companies Worth Knowing About. Vestas Wind Systems is a Danish manufacturer, and sells technology using wind energy for electricity generation. The company specializes in the planning, installation, operation and maintenance of wind power plants. The product line includes primarily a series of wind turbines and wind power systems. 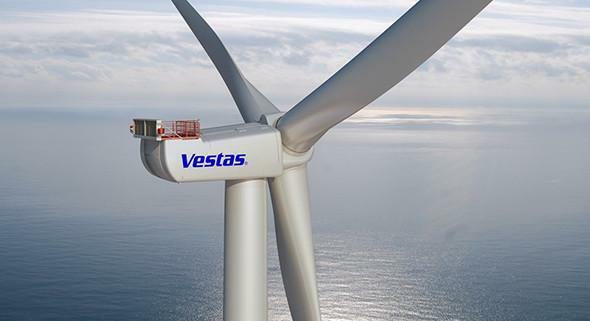 The company was founded in 1945, and as of 2013, is the largest wind turbine company in the world. The company operates manufacturing plants in Denmark, Germany, India, Italy, Romania, the United Kingdom, Spain, Sweden, Norway, Australia, China, and the United States, and employs more than 21,000 people globally. 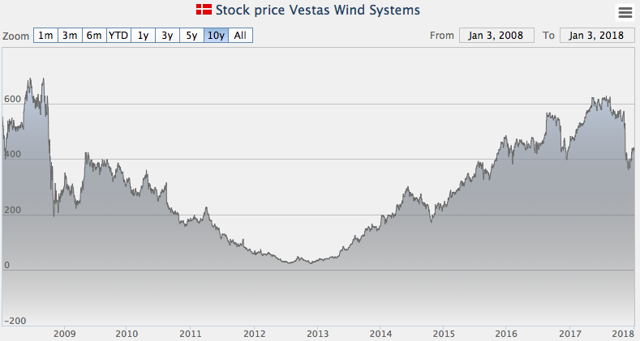 Vestas Wind Systems A/S is a player in a very future oriented segment. As a society, we need to find alternatives to oil, and wind seems like an option, and orders are rushing in for the Danish company. However, since 40% of the revenue comes from the U.S., U.S. tax reform might cause heavy costs for the danish based firm. If the U.S. government cut the subsidies to renewable energy under the PTC agreement, as in its proposal, then U.S. orders will decline dramatically (if the past is anything to go by). This is what happened to annual wind power installations in the U.S. when PTC agreements ran out in the past: 2000 -92%, 2002 -76%, 2004 -76%, 2013 -92%. Looking forward, the price pressure is important to notice, as well as the new tax reform. On the pro side, the turbine efficiency ratio has increased, so it might not be appropriate to use prior history to determine future happenings. Anyhow, a company worth noticing since we, as a community, need to find other energy than oil. Kopparberg Cider is made by Kopparberg Breweries in the town of Kopparberg in central Sweden. Established in 1882, the brewery is family owned and is the main employer for the tiny town of just 4,000 people. 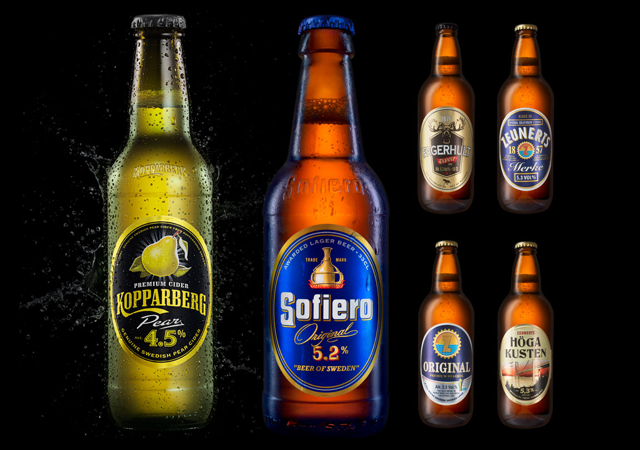 Kopparberg Breweries AB is Sweden's largest cider brewing company. 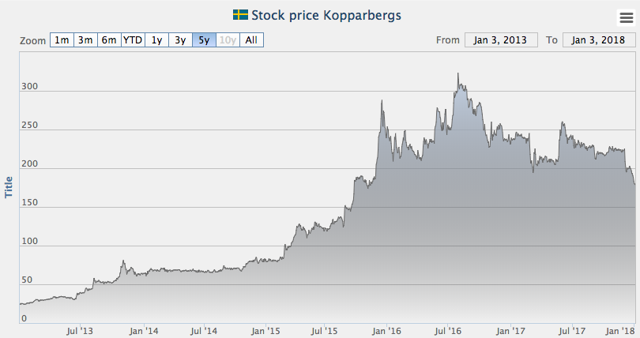 Kopparbergs Brewery took a steep dive after Brexit since the revenue depends on the British pound. Management has said that they will try to become more independent of the pound in the future. One positive note is that the sales increased 3% during the last quarter. Looking forward, some short-term turbulence is accepted, but if management can deliver on it's strategic plans, then the future looks bright for this high quality growth giant. 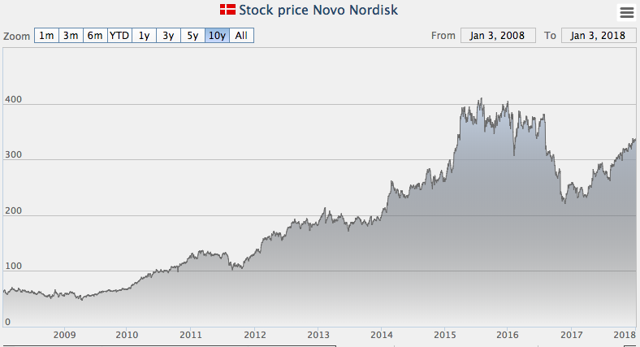 Novo Nordisk A/S is a global healthcare company engaged in the discovery, development, manufacture and marketing of pharmaceuticals. The company has four product areas: diabetes care, haemostasis management, growth hormone therapy and hormone replacement therapy. Diabetes care accounts for a majority of sales. 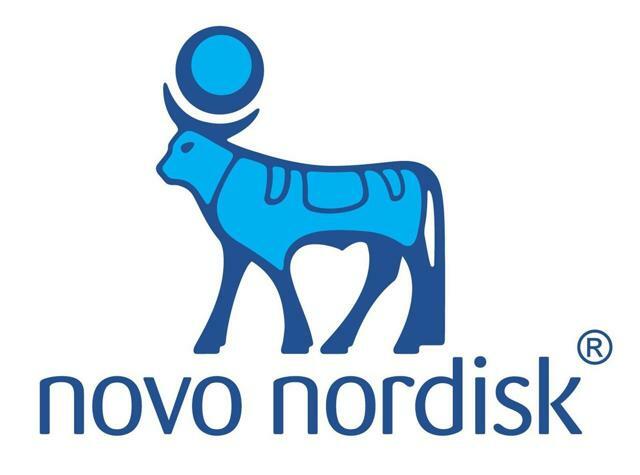 Novo Nordisk is headquartered in Bagsvaerd, Denmark, and has offices in about 75 countries around the world. The company was ranked 25th among 100 best companies to work for in 2010 by Fortune. 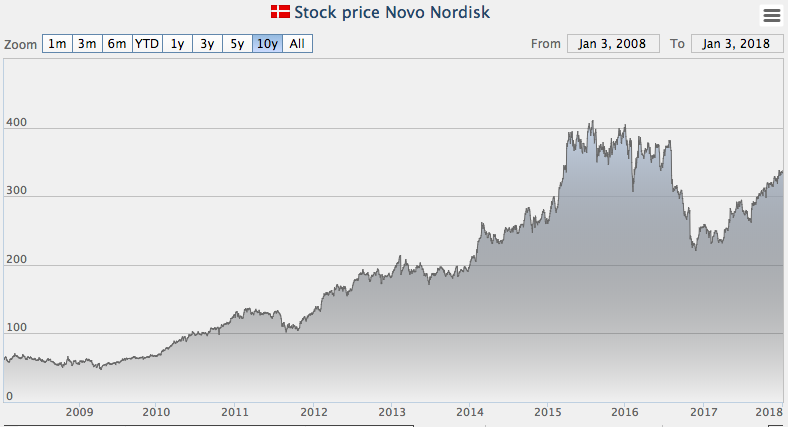 In January 2012, Novo Nordisk was named as the most sustainable company in the world by the business magazine Corporate Knights while spin-off company Novozymes was named fourth. Novo Nordisk was ranked 72nd on “Fortune’s 100 Best Companies to Work For®” list within the U.S. state of New Jersey as of January 2014. Diabetes, which is one of the main problems Novo deals with, is steadly growing as a world problem. According to WHO, 442 million people suffer from diabetes worldwide, and the number is going up. People are spending more time sitting still, working on their desk and as of 2015, 1 out of 11 adults has diabetes. In 2040, this is forcasted to be 1 out of 10. This means that there is a growing demand for Novo Nordics pipeline. On the cons side, we shall watch if Amazon enters the pharmaceutical industry, because that will likely cause price pressure, at least some stock price turbulence. 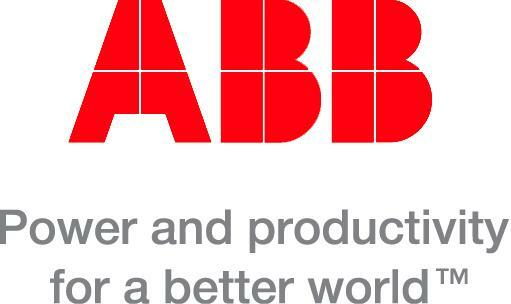 ABB is a company in power and automation technologies that enable utility and industry customers to improve performance. 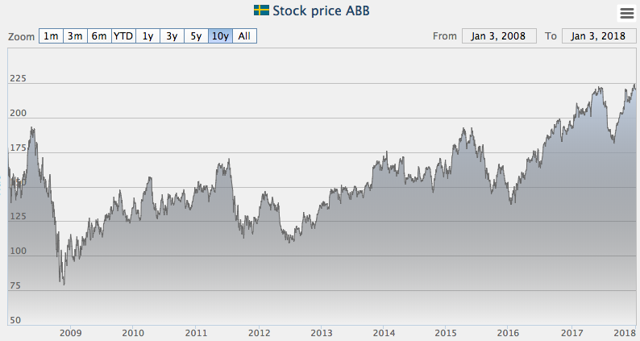 ABB operates in around 100 countries, with Europe as the main market, representing nearly 50 % of the turnover. Power Products: Key components for transmition and distribution of electricity. Power Systems: Systems and services power transmission and distribution grids, as well as power plants. Discrete Automation and Motion: Products and solutions that increase industrial productivity and energy efficiency, such as motors, generators, power electronics etc. Final customers are mostly within the industry. Process Automation: Provides customers with products and solutions fort instrumentation, automation and optimization of industrial processes. A pioneering technology leader that works closely with utility, industry, transport and infrastructure customers in roughly 100 countries. With more than four decades at the forefront of digital technologies, we are a leader in digitally connected and enabled industrial equipment and systems with an installed base of more than 70,000 control systems connecting 70 million devices. Compressor Technique: Provides industrial compressors, gas and process compressors and expanders, air and gas treatment equipment. Mining and Rock excavation Technique: Provides rock drilling tools, underground rock drilling rigs for tunneling and mining applications, surface drilling rigs, loading equipment etc. Industrial Technique: Develops, manufactures and markets industrial power tools, assembly systems, and aftermarket products and services. Construction Technique: Provides construction and demolition tools, portable compressors, pumps, generators etc. 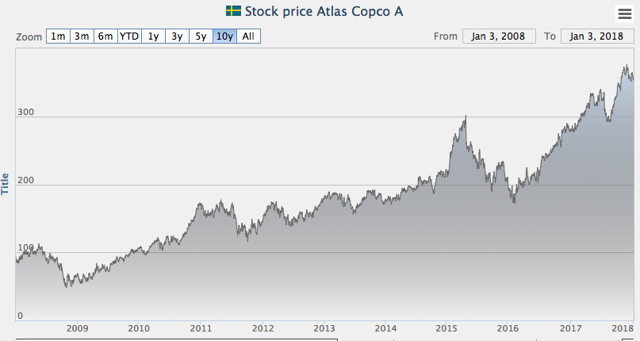 Three out of four cars worldwide are made with Atlas Corps products. Looking a head, the most important thing to notice is that the company will break itself up, listing it's old mining-equipment business as a separate company. The company has for decades showed that they are able to adapt, and it shall be very interesting to see what the new CEO has in store. 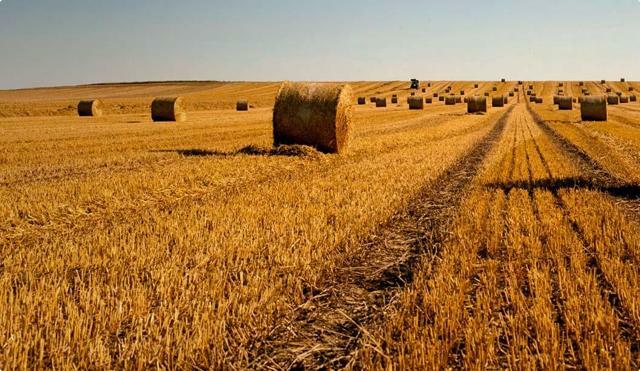 Yara International ASA is a global chemical company that converts energy and nitrogen from the air into essential products for farmers and industrial customers. As the number one global supplier of mineral fertilizers, Yara helps provide food and renewable energy for a growing world population. Our industrial product portfolio includes environmental protection agents with a range of applications. 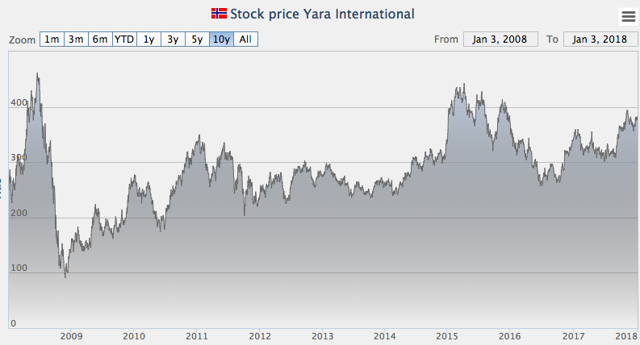 Urea prices are finally moving upwards again, which benefits Yara. More interestingly, the company is the first company to use a zero emission, autonomous container feeder. As with every cyclical company, one should expect a volatile development, but Yara is for sure a player to notice in the fertilizer segment. Kongsberg Gruppen is an internationally-oriented knowledge-based corporation. 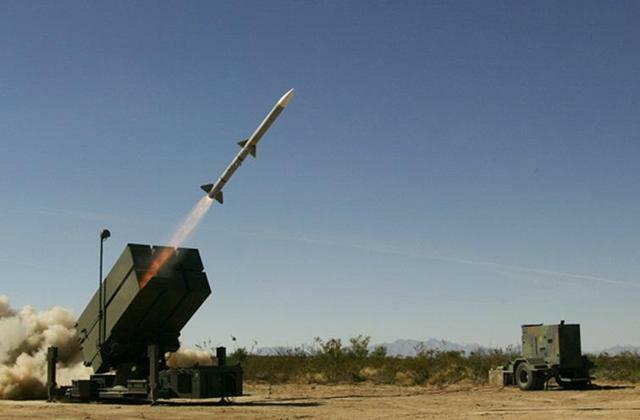 Kongsberg's two business areas, Kongsberg Maritime and Kongsberg Defence and Aerospace, are engaged in the same areas of technology. They both have their core competencies in signal processing, engineering cybernetics, software development services and systems integration. Kongsberg Gruppen is divided into three segments: Maritime, Digital and Defense systems. It's hard to predict anything about how the world will evolve from here, but the company receives many orders and there is a demand for this kind of products, in so, the future looks promising. Also, it's worth mentioning that the autonomous ship which I described above, is a result of cooperation between Kongsberg and Yara. Maybe Kongsberg will be the new Artificial Intelligence giant in autonomous ships? Gjensidige Forsikring ASA is a provider of financial services who offer insurance, online banking, loans and savings. The company traces its roots back to 1816 when a fire mutual was founded at Land in what is today Oppland county. 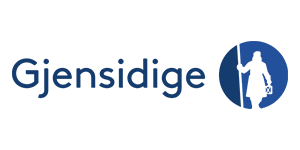 Gjensidige demutualised and listed on the Oslo Stock Exchange in December 2010. The firm, headquartered in Oslo, has a market share of some 25% (2016) in the Norwegian insurance market. The company has 36 branch offices in Norway, not including affiliated fire mutuals, and 1 million customers. Gjensidige has subsidiaries in Denmark, Sweden and The Baltics. The company offers all kinds of insurance for Retail customers, agriculture and business. It also offers retail banking products through its subsidiary Gjensidige Bank as well as pensions and savings products. It's good times for financials, because interest rates are going up. In general, one can say that when interest rates rises, insurances companies also make more money. Overall P/E-rations normally correspond to rises in interest rates. 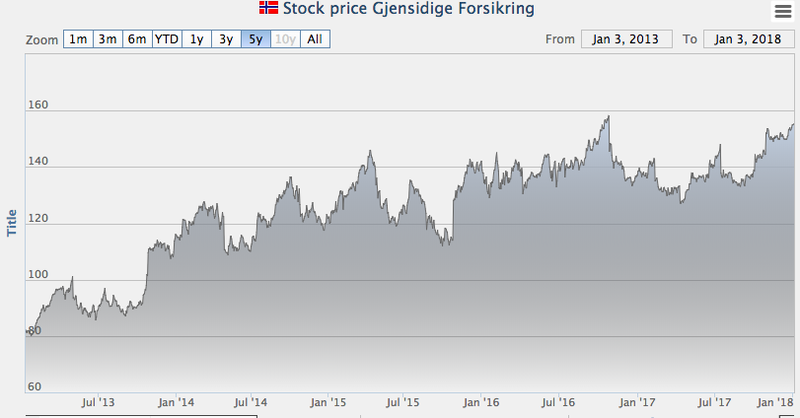 While it's stupid to predict anything about the future and a stock price, I think Gjensidige will still be a dominant player in the Nordic insurance market for many decades. Castellum is a real estate concern focusing on commercial estates in and around Gothenburg, Malmoe, Copenhagen, Stockholm and central Sweden. The company's portfolio consisted of 605 estates with a total of 3 433 thousand square meters available for rent. They were estimated at a value of 40 187 MSEK and the vacancy rate was 87,7%. The company consists of six wholly owned affiliates ; Eklandia Fastighets, Harry Sjögren, Fastighets AB Briggen, Fastighets AB Brostaden, Fastighets AB Corallen and Aspholmen Fastigheter. Looking a head, Castellum looks okey. Stockholm, the capital of Sweden is experiencing very high housing prices. 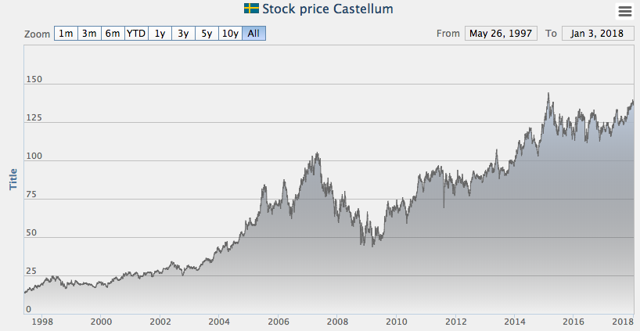 It's worth mentioning that Castellum is a Swedish dividend aristocrat. It shall be interesting to follow this company as interest raises and inflation goes up. 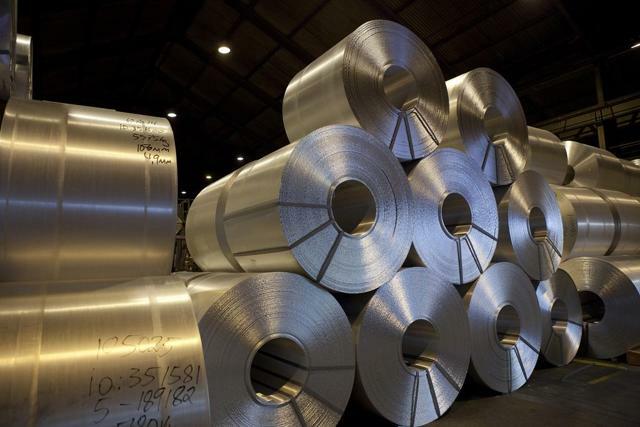 Hydro is a Fortune Global 500 supplier of aluminium and aluminium products. Rooted in a century of experience in renewable energy production, technology development and progressive partnerships, Hydro is committed to strengthening the viability of their customers and communities they serve. My professor at the university used to say that aluminium was God's gift to humans. The metal is so flexible and usable is so many industries, so do not think that the demand for this great metal will perish. Norsk Hydro is a solid quality company which specializes in this area, and I expect that they will continue to do so for many many years. Disclosure: I am/we are long YRAIF, GJNSF, KOPPARBERGS, NVO. I wrote this article myself, and it expresses my own opinions. I am not receiving compensation for it (other than from Seeking Alpha). I have no business relationship with any company whose stock is mentioned in this article. Additional disclosure: I´m not a financial advisor. This post was simply to inform my fellow investors.